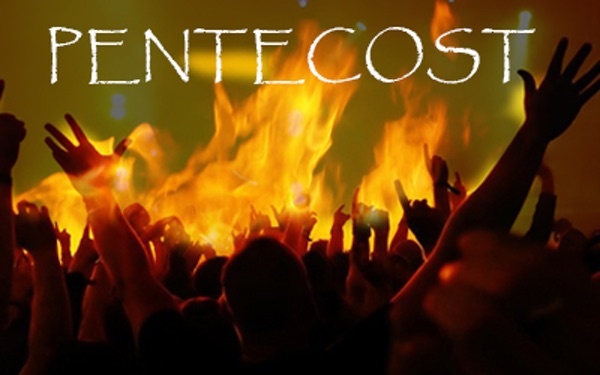 Pentecost marks a huge event in salvation history, God’s plan for the world. The birth of Jesus, marked at Christmas, is rightly a prominent celebration. So is the death and resurrection of Jesus celebrated at Easter. The impartation of the Holy Spirit of Jesus to believers in Christ, not just a select few but all who open their hearts to Jesus and seek His power to live for His kingdom, must rank right up there in its capacity to bring God’s good change. The church of the Holy Spirit — there’s one, despite varied packaging — changes lives and social behaviour, nations and policies while other factions, including denominations, still show the human tendency to argue and divide. Ezekiel saw this in visions he received and wrote about. He saw man’s unresponsive ‘heart of stone’ being replaced with a sensitive ‘heart of flesh’ that would want to follow God’s will without the crude mechanism of rules and religious regulations. Then he saw the scattered bones of the dispersed nation of Israel, its hope long dead, restored and enlivened by God’s Spirit. Jesus, recorded by John, taught intensively in His last days on earth about the coming of the Holy Spirit which, He said, He would send from the Father after He had gone from the earth. Then at Pentecost we read in Acts how the Holy Spirit came, visibly, and with an impartation that was very evident to the gathered disciples first, and then as the crowd responded, more generally. The church had just received its power to carry out its God’s given mission. Much later, Paul reflects to readers in Rome on the difference the Holy Spirit makes in believers’ lives: the kingdom of God, God’s rule and order in the world, is not yet fully produced, like a long and painful childbirth, but the Spirit-filled and Spirit-led life gives us a powerful helper, One who knows exactly what to pray when we are struggling. The readings this week show the Holy Spirit like God’s breath breathing life into dry bones, and then being promised as Jesus’ parting gift and imparted on the fiftieth day after Passover. The lesson? Don’t try to live by your own strength — it doesn’t work that way. Live by God’s power imparted to you and you will see, bit by bit, His kingdom come. Follow this through in the church calendar readings for Sunday, May 20, Pentecost Sunday, given here in Bible order. Prepare for Sunday by reading and reflecting on this word for the week and let the Holy Spirit speak to you through the Word. 1 The hand of the Lord was on me, and He brought me out by the Spirit of the Lord and set me in the middle of a valley; it was full of bones. This vision follows on from God’s promise of a new heart and new spirit through the impartation of the Holy Spirit. The prophet also heard the Lord speak of repopulating the cities, with ruins rebuilt and numbers increased. But the exiles were scattered, with their hope evaporated. “Can these bones live” – Can these random, scattered bones become living people again? The people’s hopes were not just dead but dried up and dismembered. 4-5 Then He said to me, “Prophesy to these bones and say to them, ‘Dry bones, hear the word of the Lord! This is what the Sovereign Lord says to these bones: I will make breath enter you, and you will come to life. “Breath enter you” – difficult to capture in English is the wordplay where the one word ruach conveys three meanings, translated spirit, breath and wind. For further study see Spirit, Ezek. 37:1,14; breath, 5, 6, 8, 9, 10; and wind or winds, 9. This multiple meaning is also in the Greek word pneuma of John 3:8. 7-8 So I prophesied as I was commanded. And as I was prophesying, there was a noise, a rattling sound, and the bones came together, bone to bone. I looked, and tendons and flesh appeared on them and skin covered them, but there was no breath in them. “There was no breath” – connected bones and tendons and muscle create a body; without respiration, it is still a corpse. 9-10 Then he said to me, “Prophesy to the breath; prophesy, son of man, and say to it, ‘This is what the Sovereign Lord says: Come, breath, from the four winds and breathe into these slain, that they may live.’ ” So I prophesied as he commanded me, and breath entered them; they came to life and stood up on their feet – a vast army. “Prophesy” – speak out in faith for God. Ezekiel is instructed to speak into the slain God’s breath or Spirit, “from the four winds” or from every direction, a complete and powerful renewal. “Our bones are dried up” – Israel’s hope had gone. There was no way back to being God’s own people, in their perspective. In our language, they were not up for it. “I will put My Spirit in you and you will live” – apart from God’s presence, God’s Spirit, there is no hope for God’s people. There cannot be a political and geographical restoration without the spiritual dimension, in Ezekiel’s time or future times. Ezekiel saw death on a large scale as one who experienced the deportation following the fall of Jerusalem and in his mind’s eye, saw the nation as scattered bones. We experience setbacks in life, and in church or Christian life. We are not immune from forces that cause death, in various dimensions. Projects, relationships and policies can all fail. We start by asking “Why?” and then move on to what has been learned. Ezekiel’s vision points to our unwillingness to work in the spiritual dimension. God can bring Israel alive again, even standing as a mighty army. Without His Spirit, there is no life, no hope. Whenever there has been a crisis and the wind of the Spirit has been lost, the focus must be on catching that wind again. With the Holy Spirit, there is no life, just dead orthodoxy. What “dry bones” need the breath of the Spirit to enliven them? Should we be joining God in speaking life into these bones? 15:26-27 “When the Advocate comes, whom I will send to you from the Father – the Spirit of Truth who goes out from the Father – He will testify about Me. And you also must testify, for you have been with Me from the beginning. The Holy Spirit is as much a ‘personal Person’ as the Father or the Son. He is sent out by the Father, but we are told that He is the Spirit of Christ, 1 Peter 1:11, and the voice and revelation of Christ, vv. 14-15 below. 16:4-6 I have told you this, so that when their time comes you will remember that I warned you about them. I did not tell you this from the beginning because I was with you, but now I am going to Him who sent me. None of you asks Me, ‘Where are you going?’ Rather, you are filled with grief because I have said these things. 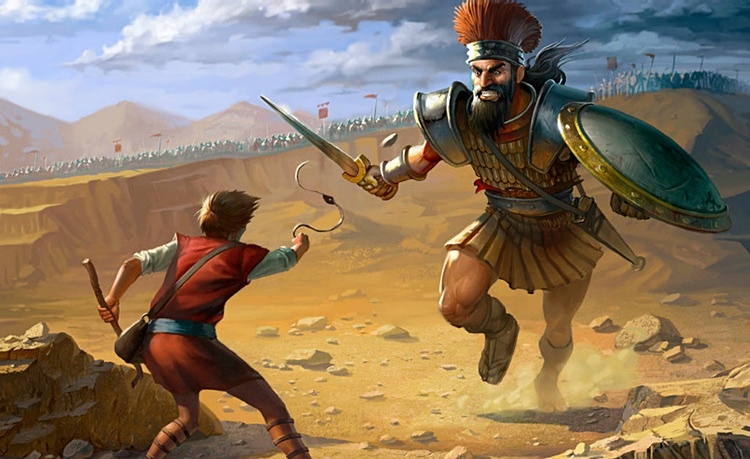 “When their time comes” – Jesus attracted persecution as a church steeple draws lightning, but He warns that on His departure, the attacks will come to the disciples more directly, requiring their Holy Spirit-empowered testimony. 7-11 But very truly I tell you, it is for your good that I am going away. Unless I go away, the Advocate will not come to you; but if I go, I will send Him to you. When He comes, He will prove the world to be in the wrong about sin and righteousness and judgment: about sin, because people do not believe in Me; about righteousness, because I am going to the Father, where you can see Me no longer; and about judgment, because the prince of this world now stands condemned. “Prove… to be in the wrong” – or “convict”, more formal versions. The Holy Spirit’s prompting to turn to Jesus is a turning away from the world and its values, especially its self-righteousness and lack of sin awareness. The Holy Spirit reveals Jesus and contrasts His call with the sin of independence; He shows the difference between the world’s righteousness and the kingdom of heaven’s kind of righteousness; and shows the judgmental voice of the accuser to be lies of one already condemned. “The Spirit of Truth… will guide you” – see John 14:26. The thrust of the gospel comes by revelation as well as information. Jesus relied on this, John 5:19-20 and in the same way that Jesus could do what He saw His Father doing, the Holy Spirit will only speak what He hears. Jesus’ promise to send the Holy Spirit from the Father comes right at the end of the Old Testament period. We live in the New Testament or more accurately, New Covenant knowing our release from sin secure for us by Jesus on the Cross and new life in Jesus who is resurrected, alive and active in our lives by His Holy Spirit. Going back to this promise, as it was set out to the disciples before the Holy Spirit was given, helps us to understand more about the life of the Spirit in our lives, now that the Holy Spirit has been given. Turning to Jesus and recognising Him as our Saviour, but also asking Him to come into our lives as Lord, is asking His Holy Spirit into our lives. One of the many facets of this new life in Jesus, which this passage teaches, is having the Spirit of Truth, or reality, residing in us. As believers, belonging to the Lord’s assembly, or church (there is only one!) we are enabled to a greater or lesser degree to perceive spiritually beyond what we can see or intellectually understand. This is the working of the Spirit of Truth who brings revelation of the spiritual reality behind what we see – truth and reality are twin meaning of the same word. As we read and study the Bible, or as we look at a situation, we receive information, which we can evaluate. But before we form an opinion, we must allow the Spirit of Truth to give us spiritual revelation of what that information looks like to Him. He will guide us into all the truth (or all the reality) – if we let Him. What do you find is most helpful to you, in giving the Holy Spirit room to add His dimension to what you are seeing or hearing? “Pentecost” – the fiftieth day after Passover and harvest festival for the wheat harvest, was a time for remembering and renewing the covenants with Noah and with Moses and commemorating the giving of the Law on Sinai. 2-4 Suddenly a sound like the blowing of a violent wind came from heaven and filled the whole house where they were sitting. They saw what seemed to be tongues of fire that separated and came to rest on each of them. All of them were filled with the Holy Spirit and began to speak in other tongues as the Spirit enabled them. “A sound” – it was a big sound, filling a space for 120. “Tongues” – the word also means languages. Contemporary experience is that the spiritual gift of an unlearned praise and prayer language often accompanies being filled with the Holy Spirit. “Each one heard” – where the gift of tongues is used today, sometimes a person of different ethnicity and culture will hear words of praise, often meaningful to them, in their language. Jerusalem was a city population of seven nations and three languages, swelled by “God-fearing Jews from every nation” visiting for the festival. 17-18 “In the last days, God says, I will pour out my Spirit on all people. Your sons and daughters will prophesy, your young men will see visions, your old men will dream dreams. Even on my servants, both men and women, I will pour out my Spirit in those days, and they will prophesy. 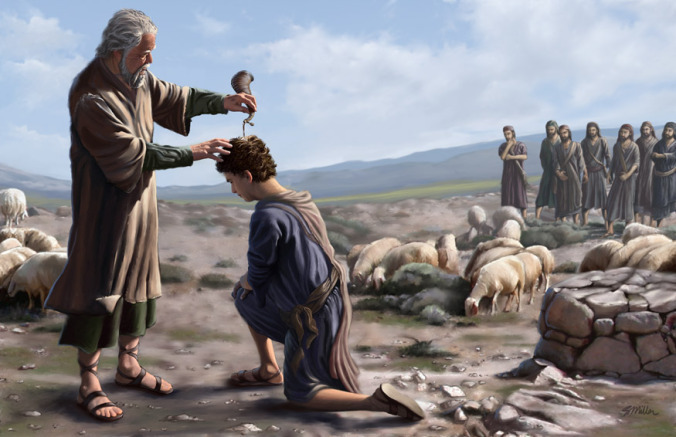 “My Spirit on all people” – In the OT the Holy Spirit came on individuals to empower them in God’s service as righteous kings, prophets, craftsmen etc. This promise, fulfilled at Pentecost, was for a Spirit-filled people, male and female, young and older, all of whom would know a Holy Spirit-inspired confidence in God’s guidance and expressing God’s ways. “They will prophesy” – broader than foretelling, forth-telling: speaking out for God. 19 “I will show wonders in the heavens above and signs on the earth below, blood and fire and billows of smoke. 20 “The sun will be turned to darkness and the moon to blood before the coming of the great and glorious day of the Lord. “Wonders… and signs… before the coming…” – signs of the future consummation of the kingdom. “Everyone who calls…saved” – not future timing, but inaugurated by Jesus for anyone who will show intent by responding in faith and turning to Him, Matt. 7:21. The disciples, like any of us, were of themselves and independent lot. Peter was a courageous leader who was sometimes a bit too quick to ‘make it happen’. Others were jockeying for position and status. Thomas seemed to withdraw while he struggled with his own unanswered questions. These were the men we read about but in the upper room, there were many women disciples, too who had their own perspective. On the day of the festival, they were all together in one place – under one roof, but a careful reading of the ends of the Gospels and the beginning of Acts tells a story of a coming together in one heart and mind as they prayed day by day. Prayer doesn’t change God but it does change us, and then God can change something in the word through us being aligned with Him. The coming of the Holy Spirit has sometimes been seen as the birth of the Church of Jesus. In reality, the church – the gathering of believers – had already formed, but it couldn’t pick up its mission or go anywhere. That takes the Holy Spirit’s leading and empowering. Where we frequently go wrong is to try to do what we can by ourselves. Where we are fruitful is when we intentionally take time to be changed, become aligned, get into agreement with other believers – and then allow God to magnify the little we have. Why can it be helpful for us to have a prayer and praise language that we can use without thinking about it first? “Groaning” – creation is personified as a woman in labour. Something is being produced that involves both suffering and hope. 23-25 Not only so, but we ourselves, who have the first-fruits of the Spirit, groan inwardly as we wait eagerly for our adoption to sonship, the redemption of our bodies. For in this hope we were saved. But hope that is seen is no hope at all. Who hopes for what they already have? But if we hope for what we do not yet have, we wait for it patiently. “First-fruits” – a down payment on the fulfilment of God’s blessings. We know of, and can live in the security of, being adopted with the full rights of sonship, 1 John 3:1, but this is an experience to come, together with renewed bodies. “Hope” – not so much a ‘will it, won’t it?’ but more of a confident expectation that what is not seen, or not received, will certainly be in the Lord’s timing. 26-27 In the same way, the Spirit helps us in our weakness. We do not know what we ought to pray for, but the Spirit Himself intercedes for us through wordless groans. And He who searches our hearts knows the mind of the Spirit, because the Spirit intercedes for God’s people in accordance with the will of God. 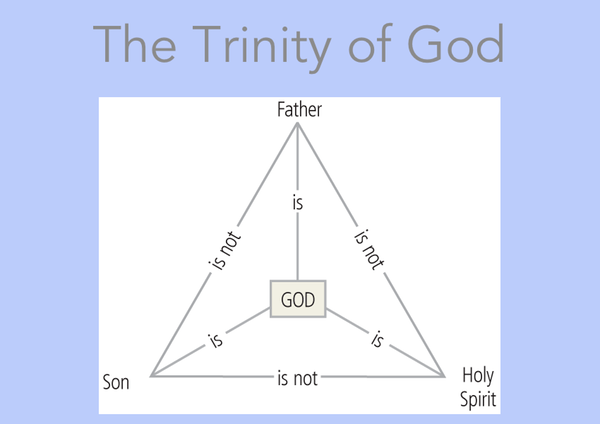 “Spirit Himself intercedes…” – The Holy Spirit is a person, one of the three Persons of the Trinity, whose relationship is so close that they are One God. So the Holy Spirit knows exactly how to pray for a person or situation in a way that matches God’s will. His leading of us may be in words, in expression through an unlearned prayer language, or in ways that are largely silent. This short passage is taken from a letter written to a Holy Spirit-led and Holy Spirit-filled group of believers. The New Testament letters all make this assumption. Without this understanding, the letter can read as little more than chiding by the apostles to do more that is right, and less that is wrong. We have probably heard that kind of message in church, and left wondering how we do it. The rules and regulations and religious strictures that applied to Jesus and the disciples applied to every Jew before the Cross and the Resurrection. But then, everything changed. The life of the Spirit was a new experience of being motivated and enabled and empowered to live for God, in a new identity. This is quite different from trying to keep within the requirements of the law, or within the legalism of any ordered religion. The Holy Spirit – Spirit of Jesus, Spirit of God – resident in us, by our invitation, shapes our will in a more holy direction. This changes how we pray as well. If we pray what we want, or what is in line with our opinions, we may not be agreeing with the will of God. If, however, we allow the Holy Spirit to direct how we pray, either with our words, or with His prayer language, or without words, He checks our heart motives and strengthens our desire for God’s will, interceding for us and drawing us into that intercession. If prayer does not appear to be answered, it is for us to check whether it is of the first kind, that needs to progress to the help of the Holy Spirit in the second kind. p class=”p4″>Think of a prayer situation where you have been interceding, in other words, praying for someone or something else. How does God want you to pray so you are agreeing with Him? How do you find that out? What follows draws out Paul’s practice of interceding for people in the churches (and therefore his readers) to have the spiritual insight to grasp what they have in the Father, the Son and the Spirit which he sets out in the preceding verses. Verses 3 to 14 set out consecutively the blessings that come through the Father (vv. 3–6), the Son (vv.7–12), and the Holy Spirit (vv.13–14). The role of the Holy Spirit is primarily to reveal (bring revelation) of the Father and the Son. That is what happens when we come to saving faith, putting our trust in One we cannot know intellectually but can know by faith, a particular perception imparted by the Holy Spirit. The New Testament epistles assume hearers in the churches who have this dimension of revelation. The Gospels draw a picture of people encountering Jesus Christ who promised the Holy Spirit. “That you may know the hope…” is more akin to certainty than the common use of the word, which is aspirational. To replace “hope” with “confident expectation” brings out the true meaning. Knowing who we are in Christ Jesus, knowing the basis of our calling and salvation, knowing that we are precious sons and daughters – this is foundational to a Christian life which overcomes the battle that the enemy wages in our thought life. The incredible, miraculous working of power that resulted in the resurrection of Jesus Christ is the same power that we can tap into by faith. At the right hand is a position symbolic of the highest honour and authority. There is a power struggle being played out in the heavenliness, but one where Christ has won the ultimate authority. In the present evil age this is largely imposed by us as people of faith. In the age to come the Messiah will return and there will be righteousness on earth. Later in Ephesians we read that we are seated together with Christ in heavenly places Ephesians 2:6. Therefore what is positionally under His feet, is under our feet, as we take our place with Him. This releases us into spiritual expressions and prayers that are authoritative, not simply asking. We are expected to use the authority we have been given as His body on earth. Human nature with its religious tendencies does its best to create institutions out of what is simply one body of believers united and submitted in Christ in worship, and dedicated to fulfilling His mission. If institutions are necessary, they are something quite different. Application: Grasping the Christian hope which is ours as those who belong to Jesus is a confident spirituality. Much of our perceived powerless comes from not being aware of who we are in Christ, and the spiritual authority which our words of faith, articulate or mumbled, have in the heavenly realms. This is about knowing who the King of the kingdom is, and who we are in Him. Understanding this is difficult within the rules of human logic. The Holy Spirit was given, not just for empowering us for witness Acts 1:8 but for enabling that witness by revealing to us truths that we could not grasp otherwise. The enemy of our souls is always at work trying to plant thoughts in our minds of how powerless we are, how God couldn’t use us because we are disqualified. All lies, of course. This narrative of hopelessness is the opposite to the assurance and certainty and confidence which is the hope spoken of in the Bible – which truth the Holy Spirit highlights for us.